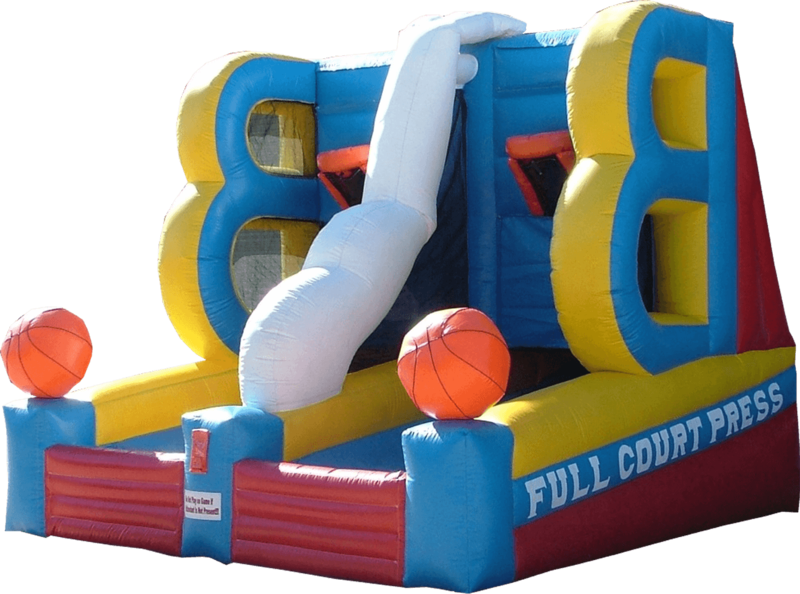 Interactive basketball inflatable. 8 basketballs provided. Basketball Rapid Fire measures 16 feet long by 15 feet wide by 16 feet tall! !